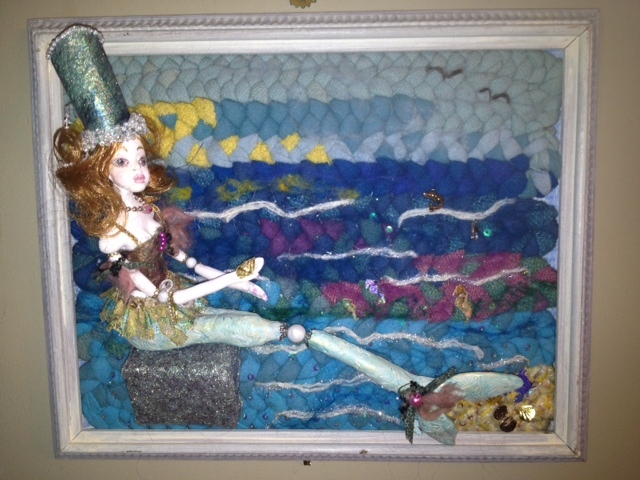 The Valley Forge Braiders Guild ,of which I have been a member since 2003, for its annual weekend meeting , offered a challence with the theme " The Deep Blue Sea"
So I braided this water scene, embellished it with sequins, dolphin findings,sea shells, beads and added a rock ,built by covering a paper box with wet felted wool that I then painted with Glitter Glue, and secured the Mermaid doll onto her seat with a string tried in the rear of the picture. I tailored her outfit made with Angelina Fibers and ambellished it. 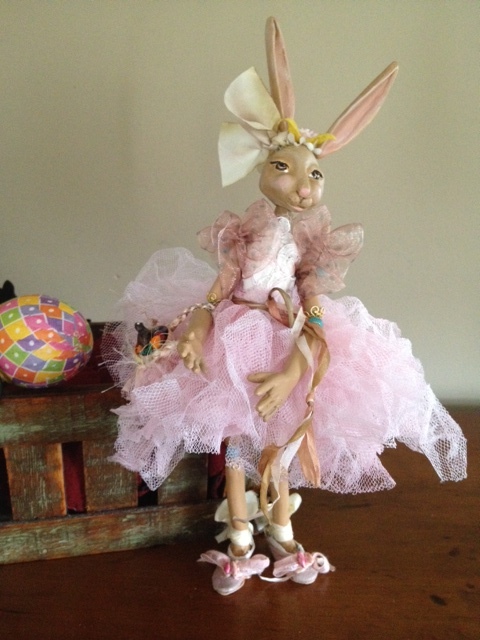 Oh, she is so proud of her custom made pink leather shoes and Easter basket filled with tiny jellybeans made from paper clay and the Chocolate bunny ,which is a tiny plastic bunny painted with brown acrylic and glazed with Triple Thick. Applique and embroidery Pillow "Covered Bridge"
decided that we need to have pillows for those cold hard chairs we sit on when we meet at a local Library. 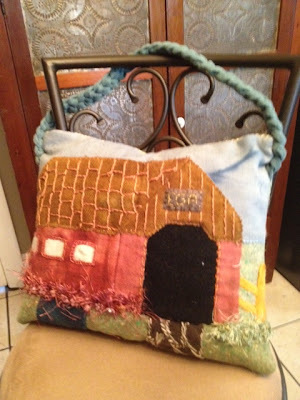 I added a braided handle to mine, left over from a recent braided chair pad, so I can carry it hands- free.